This chapter investigates the People’s Republic of China’s (PRC) nation-building practice in Tibet over the past six decades and relates it to the evolving united front work employed by the Chinese Communist Party (CCP) towards Tibetan traditional elites. The chapter argues that the Chinese Party-state aims to construct a united multi-ethnic state which contains a superior Chinese national identity, whilst allowing the co-existence of plural ethnic identities. In line with this, the CCP strives to balance uniting the ‘ethnic upper strata’ with empowering autonomy for these ethnic elites. Specifically, in this way, the central regime had developed and switched its positions between deliberatively accommodating and collaborating with the Tibetan traditional elites, and suppressing them within this process. This chapter suggests that the former is applicable to the decades of the 1950s and 1980s, and the latter relates to the more recent era. The transiting dynamics have more to do with the state’s perceptions to these traditional elites. The chapter observes that as the ruling authority regarded Tibetan behaviours and demands with dynamics threating to the construction of Chinese nationhood, the authority tightened its control, which, however, reversely undermined the effects of existing inducement policies on economic and cultural developments designed for Tibetans. Furthermore, such political control intensified international disputes over the CCP’s statecraft. In this chapter, I adopt a hybrid concept of nation-building. In other words, I do not further distinguish the concepts of state-building and nation-building, as some researchers may do in the previous literature. In most cases, the former refers to the degree of development of state institutions and relevant apparatus, whereas the latter focuses on the creation of national identity amid the population in a state (Call 2008, 5; Paris and Sisk 2009, 15). This chapter admits the usefulness of such a conceptual separation when analysing specific aspects, however, it favours a hybrid approach, for better understanding the operational process of nation-building. Moreover, a hybrid approach is in line with a fact that most policy makers and journalists do not further make distinctions in their daily practices (Call 2008, 5). Given these academic and practical merits, as a result, this hybrid position seems to be appropriate in examining Chinese nation-building in Tibet. United front work is an important theme yet paid not enough attention in the existing researches. In this chapter it refers to a Chinese Communists’ flexible strategy that is employed to build alliance containing as many collaborators (regardless targets’ class, ethnicity, party backgrounds etc.) as possible, in order to achieve an ultimate goal (Van Ness 1970, 61; Qunpei 2008, 296). In its association to China’s nation-building, as such, the united front work serves as a key political tool accessing to the targets and managing them. The primary English and Chinese language sources utilised in this study include declassified archives and official documents over ethnic minority affairs and Tibetan policies. The author also reviewed historical records, selected works and speeches by PRC leaders on Tibetan affairs published by the China Tibetology Publishing House, CCP Party History Press and Central Party Literature Press. The quotes are translated by the author. By analysing these materials this chapter attempts to accurately gauge Chinese perceptions. The chapter begins with an introduction to the PRC’s nation-building regarding the national narrative. It then presents the Chinese government’s means of operation in Tibet, in which the united front work for the ethnic upper strata occupies a key position. Two strategies: the united front of accommodation and the united front of suppression are summarised. Finally, the chapter presents an overview of China’s operation over the past six decades. It concludes by suggesting that the CCP should reflect its strategies to overcome conflictual dynamics that have occurred in the process of nation-building. Since the establishment of the PRC in 1949, the ruling Chinese Communist Party has upheld a nationalist narrative constructing China as a united multiethnic state (Fei 1989; Li 1980). The ethnic Han constitutes a clear majority with 92%, and the remaining 8% is composed of 55 ethnic minorities. Such a pluralistic and united configuration is claimed by the regime as a historical landmark. This narrative was derived from the Party’s adaptions and compounds of the Stalinist theory of the ‘nationality issue’, which recognised the equal rights of all nationalities/ethnic groups in the world (Stalin 2012), and the Republican Chinese regime’s linear narrative stating that all China’s ethnic groups shared a common bloodline and history (Leibold 2007). The CCP sinicised the Soviet Model, and meanwhile, it aimed to balance ethnocultural diversity and national integration. As a result, for one thing, the Communist authority insisted on the indispensability of all ethnic groups within the state territory and their contributions to the modern Chinese nation. For another, the CCP denied ethnicities’ separatism rights and the adoption of federation, but instead promoted a nationalist sentiment of multiethnic unity, to impose the socialist transformation on all areas of the state, and to design a regional ethnic autonomy system under the state’s unitary administration (Wu 2012, 344–76; 2016). As a nation envisaged to be socio-politically and spatially integrated into congruity (Gellner 1983), scholars have noticed the significance of a ‘national narrative’ behind the nation-builder’s commitment. The narrative can be conceptualised as a blueprint, a value or a direction set by the nation-builders to be imposed onto the ‘imagined community’ (Anderson 2006). In its practices, the national narrative can reflect in constitution, laws, and official statements. Functioning as the core principle, the narrative instructs the establishments of most relevant policies and of institutions. In the case of China, ‘a united multi-ethnic state’, is a term that can be used interchangeably with the concept of ‘national integrity and ethnic consolidation’ (Guojia Tongyi Minzu Tuanjie国家统一民族团结), which constitutes a national narrative and is embedded in the CCP’s nation-building operation at all levels. ‘National integrity and ethnic consolidation’ features a mutually reinforced concept. It is contended that if consolidation amidst all ethnic groups were to be achieved, national integrity would be complete; the Chinese nation, as a whole, would move towards common prosperity (Kim 2007, 462–465). In the PRC’s official rhetoric, national integrity refers to three historical backgrounds. Firstly, the concept of ‘big integrity’ of the Chinese nation has been built since the Qin dynasty. Secondly, this integrity has been strengthened through inter-ethnic interactions over thousands of years. Finally, Chinese society has completed their national unification through the process of fighting against imperialists. In addition, ethnic consolidation signifies several aspects, including the opposition of discrimination among ethnic groups and the in-separatism of the Chinese nation (Tuanzhongyang Minzu Diqu Gongzuo Lingdao Xiaozu et al. 2013, 38–40). Article 50: “All ethnicities within the boundaries of the People’s Republic of China are equal. They shall unite and mutually help each other, and they shall oppose imperialism and their own public enemies, so that the People’s Republic of China will become a big fraternal and co-operative family composed of all its ethnicities. Greater Nationalism [chauvinism] and Local Nationalism [ethno-nationalism] shall be opposed. Acts involving discrimination, oppression and splitting of the unity of the various ethnicities shall be prohibited” (Zhongyang Wenxian Yanjiushi 2005, 3). Article 51: “Regional autonomy shall be exercised in areas where ethnic minorities are concentrated and various kinds of autonomy organizations of the different ethnicities shall be established according to the size of the respective populations and regions…” (Zhongyang Wenxian Yanjiushi 2005, 3). All ethnic minorities shall have freedom to develop their languages, to preserve or reform their traditions, customs and religious beliefs. The People’s Government shall assist the masses of the people of all ethnic minorities to develop their political, economic, cultural and educational construction work (Zhongyang Wenxian Yanjiushi 2005, 3). Upon the establishment of the Common Program, the CCP could initiate relevant projects, including the creation of the Ethnic Identification Project (Minzu Shibie民族识别), the fostering of ethnic Party cadres and the beginning of preparations for setting up the ethnic autonomous regions. The Program was also used as a guideline for the CCP to tackle ethnicity/nationality issues in China’s peripheral areas in the early 1950s, as a scenario of the liberation of Tibet showed. The Party composed the principle of the Program to the ’17-Point Agreement’ to negotiate with the government of the Dalai Lama during the liberation process. Then, once the Constitution was founded, containing major aspects of the Program, corresponding laws and policies were designed in the following decades. With years of enforcement, amendment and supplementation, China had institutionalised a sophisticated system, framing inter-ethnic relationships and means of national integration. The PRC nation-building narrative had also shaped and reshaped its propaganda and agenda within a certain scope. From the outset, the CCP applied its national narrative nationwide. Flexibly, the Party implemented its nation-building practice along with socialist transformation, depending upon local conditions, drawing a distinction between the Han and the ethnic minority areas (Wang 2017, 153–57). Comparatively, it adopted a much more cautious attitude when imposing reforms on the latter regions. In the process, the CCP projected that the means of imposition should not violate the socialist doctrine that vindicated the principle of popular voluntarism. Rather, works should be conducted through the CCP’s ‘active persuasion’ and collaboration with the traditional elites, termed as the ‘patriotic ethnicity upper strata’. It does not matter in specific cases the authorities of these elites were based on the sacred or secular sources, even though the Communists advocated atheism. These actions were necessary, because as a new regime, the Communist’s power had not yet penetrated down to a localised level. Therefore, the traditional figures, with their established connections, became important agents and must be united for the CCP. While the Han makes up a majority in the CCP, the Party leadership endeavoured to avoid an impression that the nation-building manifested as a Han nationalist movement against the ethnic minorities. As such, the role of the ‘patriotic’ ethnicity upper strata was emphasised and they were, and still are, central to the CCP’s united front work related to the ethnic minorities. Of all the ethnic minority areas, Tibet featured a typical and controversial case. Until Chairman Mao launched the liberation of Tibet in 1950, this vast area had been under the rule of the Dalai Lama and his cabinet (Kashag) and had preserved their ‘de facto independence’ from the Chinese central authority since the collapse of the Qing Empire (Goldstein 1997, 30–36; Crowe 2013, 1104–1108). Although its sovereign status was never recognised by any foreign country, factors including demographic isolation/mono-ethnicity; limited external aid (mainly from the British Raj) and the Chinese government’s long-term struggles with domestic warlords and Japanese invasion, contributed to Tibet’s self-rule (Sperling 2004, 22–23). The sending of a commercial delegation to the West (Sperling 2004, 23) and the exclusion of all officials of the Republican Chinese government on the eve of the establishment of the PRC demonstrated Tibet’s attempt to achieve a greater degree of independence (Shakya 1999, 7–11). Perceiving this behaviour as a threat to China’s sovereign and territorial integrity, the CCP employed a comprehensive policy combining united front appeal and military attack for the Tibetans. Considering their unique ethno-religious characteristics, Mao instructed at a largest degree befriending the Dalai Lama and the Panchen Lama as well as other Tibetan traditional elites, given their influence on local society (Mao 2001, 1; 16). During the process of signing the ’17-Point Agreement’, the Chinese also promised that ‘current societal system would be maintained’ as long as the Tibetans accepted that Tibet was part of China (Zhongyang Wenxian Yanjiushi 2005, 43–44). The CCP continued this stance until 1959 when the ‘Lhasa uprising’ took place. Prior to this, the Communists had paid special treatment to the Tibetan elites on many occasions. Not only were both the Dalai Lama and the Panchen Lama appointed to symbolic senior positions at the first meeting of the National People’s Congress in 1954, but they were also deemed as leaders in the Preparatory Committee for the Autonomy Region of Tibet, established in 1956. According to the Chinese government, half of the 6,000 people of the upper strata were designated to various official institutes (Xizang Tongshi Bianweihui 2015, 123). Moreover, the Central government organised tours to visit Tibet, which explained the CCP’s perspective to the local elites in an attempt to convince them of their intent. Alternatively, the authorities also invited these elites to visit the inland provinces (Xizang Tongshi Bianweihui 2015, 120–21; Jiefang Xizangshi Bianweihui 2008, 229–30). While it is true that the flight of the Dalai Lama to India provoked the CCP’s adaption of new policies and tougher control, broadly the implication of the united front work remained to a certain extent, which can be proven by the Party’s collaboration with the left leadership. The following scenarios justified the CCP’s lasting commitment, constructing China into a multi-ethnic state via uniting the upper strata. It is worth noting that the united front work related to Tibet is not only confined to the work by the United Front Work Department. Beyond that, it also involved the State Ethnic Affairs Commission and State Administration for Religious Affairs. As can be seen, China’s Tibetan policies have been mainly designed, instructed and practiced through these units. In short, through the examination of evolvement of Tibetan policies in the past six decades, this paper argues that the united front work of Tibetan elites constituted a key part of China’s nation-building in Tibet. In addition, it has been identified that the CCP regime developed a duo strategy of accommodation and suppression towards Tibet. The strategies of accommodation and suppression were mainly identified based on the CCP’s interactions with the Tibetan upper strata in the 1950s and the 1960s, respectively. With regard to accommodation, this paper argues that it refers to the commitment that the CCP aimed to conduct China’s nation-building through increasingly inter-ethnic intimacy. During the 1950s, the CCP leadership offered a high degree of autonomy for the Tibetans. Also, many of the upper strata were appointed to senior positions within the government and public institutes, such as the Dalai Lama and Panchen Lama as mentioned in the last section. Most traditional Tibetan leadership accepted this way of arrangement because conversely they thought they could influence the policy-making process related to Tibet. On the other hand, the suppression strategy is referred to the CCP’s tightening of control over the Tibetan elites while still claiming that efforts were made to maintain unity. The scope of autonomy granted to the upper strata turned conditional and aligned to what was fundamentally reliant to the edicts and interpretations of the Party-state. In specific cases the CCP’s implementation of policies varies, but this paper contends that the types of these two strategies identified outlined the CCP’s actions. In particular, the 1950s and 1980s represented periods of accommodation, while all other time periods experienced suppression. Relevant questions may then be raised here: why and under what conditions would the CCP adjust its strategy? Inspired by the previous literature completed by Goldstein (1997), Han (2013), and Topgyal (2013; 2016), this paper attributes the influences of China’s perception of ethno-nationalist sentiment to its Tibetan policies. As a primary argument, this paper forwards the idea that the transiting dynamics between two strategies were related to the CCP’s perception of the commitments of these Tibetan traditional elites. This paper observes that when the ruling authority perceived the demands made by traditional elites to be detrimental to the Chinese national identity, while reinforcing Tibetan ethno-nationalist sentiment, the Party would adopt a strategy of suppression. Having liberated Tibet, the CCP leadership prioritised a notion of ‘expansion and consolidation of the united front with the upper strata’ above all missions with regard to the Tibetan affairs (Zhongyang Wenxian Yanjiushi 2005, 80-81). The purpose behind this commitment was to build and enhance friendship with the traditional Tibetan elites, through which the Party believed, it would be able to improve the inter-ethnic relationship and then persuade the elites themselves to act as facilitators for socialist transformation. Under the terms of the 17-Point Agreement, the CCP maintained the upper class’s existing socio-politico-economic status. Besides, Tibet was able to exempt itself from various socialist campaigns that had been launched in other regions of China in the 1950s. Finally, when knowing about the Dalai Lama’s concerns over socialist reform, Mao immediately compromised to postpone the agenda until ‘the Tibetans were ready’ (Mao 2001, 154–55). These empirical cases reflected the CCP’s allowance of a high degree of accommodation for social elites during that period. However, mutual coexistence between Beijing and Tibet would not push forward the expected positive integration in the passage of time. Rather, tensions continually escalated until the revolt in 1959. Afterwards, the Chinese authorities imposed a new strategy of suppression on the area, where it continued to collaborate with the remaining Panchen Lama. The factors which have triggered the bilateral conflicts were multiple, but a key one was that Beijing perceived the Tibetan leadership’s firm unwillingness to conduct socialist transformation as a plot to deny Central authority and even facilitate Tibet’s independence movement (Zhongyang Wenxian Yanjiushi 2005, 217–220). Relatively, the Kashag’s inactivity and tolerance of the Tibetan guerrillas stems from other ethnic Tibetan regions of China spreading to Tibet (and their receipt of US military aid) (Jiefang Xizangshi Bianweihui 2008, 339–52; Knaus 2003, 68–69), which furthermore raised Beijing’s doubt (Han 2013, 135). As a consequence, the Chinese negated their previous strategy. Following the dissolution of the Kashag, Beijing purged a large number of the upper strata, who were suspected of engagement in the revolt. The 1960s witnessed waves of far-leftist crusades represented by the Democratic Reform, the Socialist Reform, and then the Cultural Revolution, which continued until 1976 when Chairman Mao passed away. During this short period, Tibet experienced tremendous changes to its society’s economic, cultural and value systems (Shakya, 1999, 287–88; Wang 2002, 94–96). The wealth and land redistribution to previously deprived serfs had improved their material conditions and reshaped the landscape of Tibet. However, under the Maoist notions of class-struggle and criticism of the Four Olds, (old customs, old culture, old habits and old thought) the Tibetan tradition – given its feudal and religious legacies – faced extreme distortion and destruction. Thousands of monasteries and temples were forced to close, ruined, or converted for alternative use (Woeser 2016). In this context, many of the remaining Tibetan upper strata, including the Panchen Lama, also experienced antagonism from the anti-religious and anti-traditional activists. Moreover, those who showed sympathy for the Tibetan traditional actors tended to be tagged as ethno-nationalists. The role of the Tibetan upper class was still nominally significant. In practice, however, their agency was very limited and illusory. 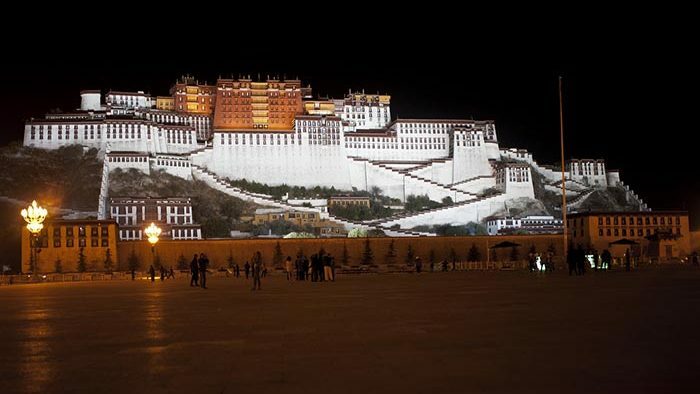 In 1965, the Tibet Autonomous Region was established. While being described as ‘autonomous’, the implication was that Beijing had further institutionalised its incorporation of Tibet into the PRC state apparatus and centralised its power (China Report 1966, 28–32; Shakya 1999, 302–03). The rise of Deng Xiaoping in the post-Mao era was marked by the adoption of Reform and Opening Up announced at the Third Plenum of the 11th CCP Central Committee. Along with this came a revival of the strategy of accommodation towards the Tibetan upper strata by the CCP leadership. To portray a friendly and tolerant gesture, they released groups of Tibetan prisoners and removed labels from more than 6000 people who either took part in the 1959 rebellion or were considered to be related to ‘reactionary’ or ‘counter-revolutionary’ involvement before the end of the Cultural Revolution (Zhonggong Xizang Zizhiqu Weiyuanhui Dangshi Yanjiushi 2005, 312). A group of upper strata, including the Panchen Lama himself, had now been rehabilitated and reappointed to senior positions within the government. In the 1980s, Hu Yaobang, then General Secretary of the Party, hosted the Tibet Work Forum twice, where the rehabilitated Tibetan upper strata attended. Having proclaimed the specialties of Tibet on these occasions, Hu highly valued the advice and perspectives from these traditional figures. The implication of strengthening inter-ethnic unity through these traditional elites was evident. In relation to this intent, the Chinese government proposed to increase the number of Tibetan cadres, provided funds to support the rejuvenation of Tibetan Buddhism and restoration of a number of monasteries and temples, as well as heralding religious practices in public. The Tibetan language was also claimed to be widely used in all official institutions in the TAR (Wang 2011, 108–09). Moreover, the Party Central redefined the scope of the ‘upper class people’ to not only the former and incumbent political and religious leaders, but also the exiles and their families dwelling in China (Zhongyang Wenxian Chubanshe and Zhonggong Xizang Zizhiqu Weiyuanhui 2005, 365–66). The key reason for this enhancement of united work was that the CCP presumed that these upper-class people could help to promote the Party’s policies to the masses more effectively than other Communists from different ethnic backgrounds. Adopting a liberalist stance, the central government emphasised that ‘loving the country was the only measure’, and sought to unite these leaders as much as possible (Sung 2011, 301; Wang 2011, 110–12). The CCP presumed that its accommodating strategy could acquire greater support and loyalty from the Tibetans, but in reality, this did not occur. Firstly, more than 21 demonstrations and riots, led by monks, occurred between 1987 and 1989 (Karmel 1996, 491). It was also reported that 138 incidents took place during the period between 1987 and 1992 (Schwartz 1994, 186). Initially Beijing regarded the protests as the result of the government’s insufficient appraisal of power. However, the increase in disturbances, as well as slogans calling for the return of the Dalai Lama and Tibetan independence, caused the central government to view the situation as a crisis. Beijing soon faced higher pressure from the successful inter-nationalisation of the Tibetan issues by the exiled Dalai Lama and the exiled Tibetan government that drew the attention of the world inside and outside of China. This resulted in the political conservatives in the CCP leadership dominating the Tibetan policy-making process once more. Hu’s withdrawal from his position is believed to have been connected with the instability of Tibet. The aftermath of the Panchen Lama’s death witnessed a new wave of monk demonstrations in March 1989. In his response, Hu Jintao, the former Chinese president who served as the party secretary of the TAR at that time, imposed martial law. The law itself was lifted one year later, but the implication was that the government again switched its strategy towards the upper strata to a hard-line approach. While the strategy Beijing adopted towards the Tibetan upper strata returned to suppression, its commitment has been far more sophisticated than the pre-Reform and Opening Up era. Since the 1990s, under a notion of ‘grasping with both hands’, the CCP government has dually embarked upon political authoritarianism and economic developmentalism, which have contained a great investment in infra-structure and modernisation projects in Tibet on an unprecedentedly large scale (Fisher 2009). In its association, the government provided generous funds to the development of Tibetan Buddhism. By doing this, however, the CCP has attempted to stifle the political freedom of the population, the clergy in particular, to ensure the stability and implementation of the Party-led nation-building agenda. Various inducement policies for economic interests and crusades for regulation were also put into practice at the same time (Mukherjee 2010, 476–78; Topgyal 2016, 51–66). Tibet is a place where the population believe Tibetan Buddhism…[we] must comprehensively and correctly implement the Party’s religious policy, guarantee the appropriate religious activities, and strengthen monastic management according to law and the principle of separation of church and state. Religion is not allowed to intervene in political and social affairs…[we] should strengthen the education and management of the monks, uniting them for safeguarding national integrity and ethnic consolidation…With regard to ethnicity and religious work, the patriotic upper strata should play a positive role… (Zhongyang Wenxian Yanjiushi 2005, 461–462). Moreover, deliberate regulations have been employed to the areas of monastery and temple management – interfering with affairs regarding worship and reincarnation. The patriotic education campaign was also launched in 1996 (Zhao 2004, 236), targeting monasteries and temples throughout Tibet. It has become a governmental tool to control monastic activities and their education curricula to subordinate the state’s confinement of religion. The campaign calling for discrediting the Dalai Lama took place amongst the clergy. The dispute over the search for the 11th Panchen Lama in the mid-1990s and the flight of the 17th Karmapa to India in 2000 represent important cases that revealed the CCP’s commitments towards Tibetan Buddhism. The publication of ‘Measures on the Management of the Reincarnation of Living Buddhas’ in 2007, a policy that requires all Tibetan lamas wishing to reincarnate to obtain prior approval by the government, is another recent case confirming that the state wants to guarantee its future control over the selection process of Tibetan lamas (Arpi 2013, 547; Dumbaugh 2008, 7). This chapter contributes to the literature with several new aspects. Firstly, it reveals a relationship that the CCP regime’s united front strategies for the Tibetan upper strata were framed by China’s nation-building politics. In addition, these strategies showed dynamics of flexibility relying on the situations. This argument is against a horizon that many of the Tibetan studies claim the rigidness of China’s policies. Thirdly, this chapter offers a vivid example of Beijing’s dilemmas in its ethnic minority areas. On the one hand, the authority remained in doubt whether the provision of accommodation led to the growing of Tibetan ethno-national identity by the traditional elites. On the other, a strategy of suppression, adopted to stabilise Tibet, did not lead to a smoother route for nation-building. The occurrences of the 14 March Incident in 2008 and the occasional, yet endless wave of Tibetan self-immolations since 2009, in both of which religious groups constituted an important role, marked the fact that the government’s current commitment resulted in widespread discontent. It is without doubt that such discontent undermined the authority’s efforts to reconstruct Tibet with a considerable amount of resources over the years. Therefore, the Chinese government has always been covered by a sense of insecurity. Revisiting its strategies and exploring alternative and appropriate means will be necessary in order to successfully attain national integration and the unification of a multi-ethnic China. For example, in the Central Ethnic Work Conference, the notion of national integrity and ethnic consolidation was every time proclaimed. See Kim 2007, 445–7. Arpi, Claude. 2013. “China’s Leadership Change and Its Tibet Policy.” Strategic Analysis 37 (5): 539-557. Call, Charles. 2008. Building States to Build Peace. Lynne Rienner Publication. China Report. 1966. “Tibet: Autonomy or Integration? : The ‘Tibetan Revolution’ Is at An Uncertain Stage. Peking Has Tightened Its Control but Its Position Is Not Invulnerable in Tibet.” China Report 2: 28–32. Crowe, David M. 2013. “The ‘Tibet Question’: Tibetan, Chinese and Western Perspectives.” Nationalities Papers 41 (6): 1100–1135. Dumbaugh, Kerry. 2008. Tibet: Problems, Prospects, and US Policy. CRS Report for Congress. Fei, Xaiotong. 1989. “Zhonghua Minzu De Duoyuan Yiti Geju [The Cultural Pluralistic Entity of the Chinese Nation].” Journal of Peking University (Philosophy and Social Sciences) 4: 1–19. Fischer, Andrew M. 2009. “The Political Economy of Boomerang Aid in China’s Tibet.” China Perspectives (3): 38–53. Gellner, Ernest. 1983. Nations and Nationalism. Oxford: Blackwell. Goldstein, M. C. 1997. The Snow Lion and the Dragon: China, Tibet, and the Dalai Lama. University of California Press. Han, Enze. 2013. Contestation and Adaptation: The Politics of National Identity in China. Oxford University Press. Jiefang Xizangshi Bianweihui. 2008. Jiefang Xizangshi [History of Liberation of Tibet]. Beijing: CCP Party History Press. Karmel, Solomon M. 1995. “Ethnic Tension and the Struggle for Order: China’s Policies in Tibet.” Pacific Affairs 68 (4): 485–508. Knaus, Jenneth K. 2003. “Official Policies and Covert Programs: The US State Department, the CIA, and the Tibetan Resistance.” Journal of Cold War Studies 5 (3): 54–79. Kim, Binggao. 2007. Minzu Lilun Tonglun [Introduction of Minzu Theories]. Beijing: Press of the Central University for Nationalities. Leibold, James. 2007. Reconfiguring Chinese Nationalism: How the Qing Frontier and Its Indigenes Became Chinese. Springer. Li, Weihan. 1979. “Zhongguo Ge Shaoshu Minzu He Minzu Guanxi [China’s Ethnic Minorities and Interethnic Relationship].” Zhongguo Minzu [China’s Ethnic Groups] 3: 8–19. Mao, Zedong. 2001. Maozedong Xizang Gongzuo Wenxuan [Selection of Mao Zedong on Tibetan Works]. Beijing: China Tibetology Press. Mukherjee, Kunal. 2010. “China–Tibet Relations from 1950 Until 2008: the Interaction between Religion, Nationalism, and Reform.” The Korean Journal of Defense Analysis 22 (4): 467–483. Paris, Roland, and Sisk, Timothy D. 2009. “Introduction: Understanding the Contradictions of Postwar Statebuilding.” In, The Dilemmas of Statebuilding: Confronting the Contradictions of Postwar Peace Operations, edited by Roland Paris and Timothy D. Sisk, 1–20. London: Routledge. Qunpei, Gesang, ed. 2008. Minzu, Zongjiao, Tongyi Zhanxian Lilun He Zhengce [Ethnicity, Religion, United Front Work Theory and Policy]. Lhasa: Xizang Renmin Press. Song, Yuehong. 2011. Dangdai Zhongguo De Xizang Zhengce Yu Zhili [Modern China’s Tibet Policy and its Governance). Beijing: Renmin Press. Stalin, Joseph. 2012. Marxism and the National Question. London: CPGB-ML. Topgyal, Tsering. 2013. "Identity Insecurity and the Tibetan Resistance against China.” Pacific Affairs 86 (3): 515–538. Tuanzhongyang Minzu Diqu Gongzuo Lingdao Xiaozu, Zhongyang Minzu Daxue　Zhongguo Minzu Lilun Yu Minzu Zhengce Yanjiuyuan, Zhongyang Tuanxiao Gongqingtuan Gongzuo Lilun Yanjiusuo. eds. 2013. Minzu Diqu Tuanganbu Duben [Textbooks for League Cadres in Ethnic Minority Areas]. Beijing: China Youth Publishing Group. Schwartz, Ronald. D. 1994. Circle of Protest: Political Ritual in the Tibetan Uprising. Columbia University Press. Sperling, Elliot. 2004. The Tibet-China Conflict: History and Polemics. Washington, DC: East-West Center. Tsering, Shakya. 1999. The Dragon in the Land of Snows. London: Pimlico. Van Ness, Peter. 1970. Revolution and Chinese Foreign Policy: Peking’s Support for Wars of National Liberation. Berkeley: University of California Press. Wang, Lixiong. 2002. “Reflections on Tibet.” New Left Review 14: 79–111. Wang, Xiaobin. 2013. Zhongguo Gongchandang Xizang Zhengce Yanjiu [T[The CCP’s Tibet Policies Research]Beijing: Renmin Press. Wang, Ke. 2017. Xiaoshi De Guomin: Jindai Zhongguo De Minzu Huayu Yu Shaoshu　Minzu De Guojia Rentong [D[Disappearing Citizens: Modern China’s Narrative on Nation/Ethnicity and National Identity of the Ethnic Minorities]The Chinese University of Hong Kong. Woeser, Tsering. 2016. Shajie [F[Forbidden Memory. Tibet during the Cultural Revolution]Taipei: Dakuai Wenhua. Wu, Zhe. 2012. “Renqun Fenlei Yu Guozu Zhenghe: Zhonggong Minzu Shibie Zhengce De Lishi Xiansuo Yu Zhengzhi Mianxiang [H[Human Grouping and National Integration: CCP’s Ethnic Identification Policy and Its Historical Source and Political Implications] In Liangan Fenzhi: Xueshu Jianzhi, Tuxiang Xuanchuan Yu Zuqun Zhengzhi [D[Divided Governance of Cross-Strait: Academics Setting, Image Propaganda and Ethnic Politics]edited by Yu, Miin-ling, 319–95. Taipei: Institute of Modern History, Academic Sinica. Wu, Zhe. 2016. “Minzu Quyu Zizhi Zhidu de Lishi yu Xianshi [H[History and Reality of Ethnic Regional Autonomy] Wenhua Zongheng 45: 88–93. Xizang Tongshi Bianweihui. 2015. Xizang Tongshi Dangdai Juan [H[History of Tibet Modern Era]Beijing: China Tibetology Press. Zhao, Suisheng. 2004. A Nation-state by Construction: Dynamics of Modern Chinese Nationalism. Stanford University Press. Zhongyang Wenxian Yanjiushi and Zhonggong Xicang Zizhiqu Wei Yuan Hui. 2005. Xizang Gongzuo Wenxian Xuan Bian 1949–2005 [S[Selected Writing of Works on Tibet 1949–2005]CCCPC Party Literature Press. Zhonggong Xizang Zizhi Qu Weiyuanhui Dangshi Yanjiushi. 2005. Zhongguo Gongchandang Xizang Lishi Dashiji [H[Historical Records of Chinese Communist Party on Tibet]Beijing: CCP Party History Press. Tsunghan Wu is a PhD candidate at the Lau China Institute, King’s College London. His research interests focus on international relations, nationalism, ethnic conflicts and the Tibetan issue. His PhD deals with the politics of China’s nation-building in Tibet in the post-1949 era.